ArmInfo. 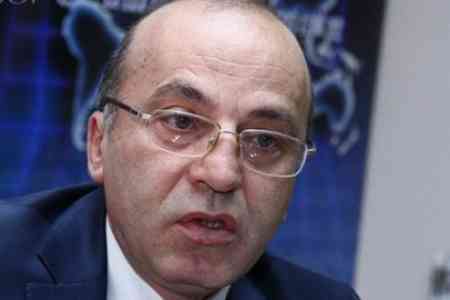 "The problem of employment in Armenia can be solved in a year, a maximum of two," believes the head of the Alternative Research Center, economist Tatul Manaseryan. Answering the question of ArmInfo, the expert noted that the real unemployment rate in the country corresponds to those presented by the National Statistical Service of Armenia. "Given that the number of unemployed in Armenia is 220 thousand, do not forget about" shadow employment ", the volume of which exceeds the number of officially registered unemployed. Moreover, the level of "shadow employment" is higher than that of unregistered unemployed people, "he said. According to the National Statistical Service of the Republic of Armenia, unemployment in Armenia, calculated according to a new methodology that does not take into account those employed in the household, was 20.6% at the end of June 2018, down 1.2% year-on-year. According to the old method of calculation, the official unemployment rate went down from 19% to 17.6% during this period.